A talk by Ian Castle an expert on the history of Germany’s WW1 aerial campaign against Britain. Aviation in the years prior to the start of the First World War was in its infancy, but in Germany the extraordinary development of giant rigid airships, pioneered by Count Ferdinand von Zeppelin, brought this global conflict directly to the towns and villages of Britain. For Lincolnshire, lying as it did in the path of the Zeppelin’s most direct route from Germany, the population found itself living on a Zeppelin super-highway. As the war progressed the drone of Zeppelin engines became a familiar sound in the county — as did the sound of exploding bombs. In this talk Ian Castle will describe the county’s experience of this first aerial war, and Lincolnshire’s role in breaking the aura of Zeppelin invincibility. Ian Castle is a leading expert on the history of Germany’s WW1 aerial campaign against Britain. 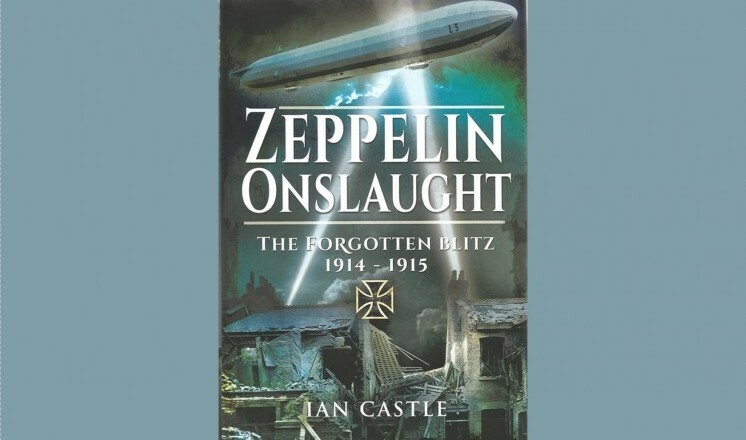 He runs the air raid website, http://www.IanCastleZeppelin.co.uk and his latest book, ‘Zeppelin Onslaught - The Forgotten Blitz 1914-1915’, was published earlier this year. Also click this link to find out more about our guided tour for Bastion in the Air on this day! Tickets: £7 talk only, £10 Joint Talk + Exhibition ticket.